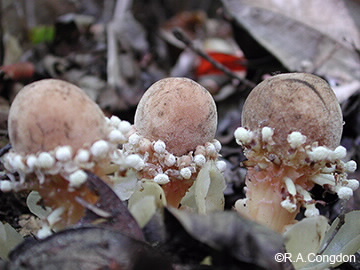 This small apparently leafless plant is a root-parasite and resembles a fungus with a large rounded head. The female flowers form an densely packed apical cone with the male flowers clustered below them. Usually found amongst litter on the forest floor.